The Uprise workplace wellness program is based on PhD research by founder, Dr. Jay Spence, and has been evaluated in over 14 published research papers. 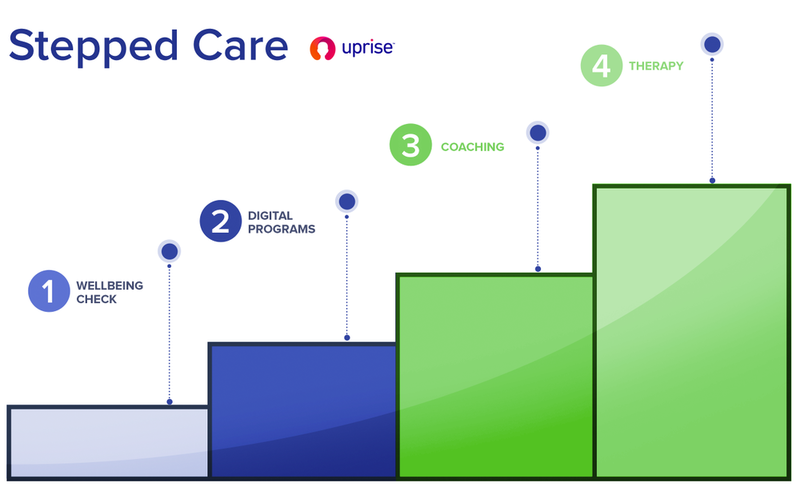 Uprise uses Stepped Care, a preventative approach to mental fitness that tailors support for an individual based their wellbeing score out of 100. Uprise is a full spectrum Employee Assistance Program that can be used through the app or website. It is made up of 3 main tools to support employees across the wellbeing spectrum. Uprise is a full spectrum Employee Assistance Program. We provide a new preventative technology called 'Stepped Care' as well as traditional EAP services.